When you’re preparing a pork dish, it’s important to choose the right cut of meat to go with it. Robina Farms Premium Fresh Meat offers a variety of meat cuts to suit your needs. But with so many different cuts available, it’s easy to get overwhelmed. To help you choose the right cut of meat for your recipe, here’s a handy guide with a few suggestions to get creative with your pork dish. Robina Farms Premium Fresh Meat offers high quality pork, in a variety of meat cuts, to suit your needs. Recipe Recs: Get creative with your pork shoulder by roasting it whole on low heat for an extended period of time. With layers of fat keeping it moist, cooking it low and slow allows the flavors to seep in, resulting in the perfect roast for pulled pork. Recipe Recs: Make an alternative to chicken fingers by breading and frying tenderloin strips and pairing it with honey mustard dip, or use it as a substitute for beef in a garlicy salpicao. Recipe Recs: Put a unique spin on barbecued ribs by adding coffee grounds into the dry rub. Recipe Recs: Level up the classic liempo by rolling a whole pork belly into a log and filling with aromatics to make the Italian roast pork dish porchetta. This distributes the flavors more evenly throughout the meat, and creates a juicy roast with uniform layers of fat and a crispy skin. Recipe Recs: Put a spin on your basic adobo by adding gata and allowing it to cook down to a thick sauce. The underrated pata can be used for a wide variety of dishes that otherwise require general-purpose cuts. While it is not fatty, it gets tons of flavor from the layers of skin and litid surrounding it. It is commonly used for crispy pata, and the braised pata tim. 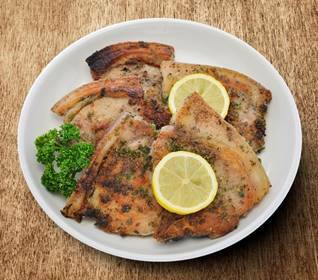 Recipe Recs: Pata slices can easily substitute cubed meat in pork nilaga or sinigang. When it is deboned and chopped, it can also replace the hard-to-find maskarafor sisig. Now that you know the ideal meat cuts to use for your all-time-favorite pork dishes and how to creatively cook them, it’s time to head to the supermarket. Remember, any dish is best when you use the right cuts of the highest quality meat. Be sure to look for Robina Farms Premium Fresh Meat when you visit any Robinsons Supermarket branch nationwide.